Property and life threatening severe weather event is evolving at this hour. 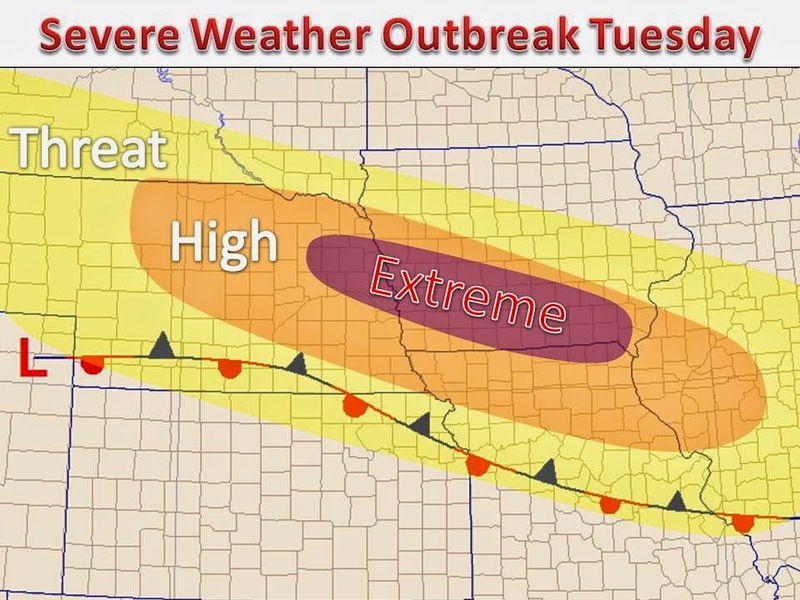 The atmosphere is primed for excess severe weather and will continue to become worse throughout the evening hours. A possible derecho will form as we head into the evening and overnight hours. I line of severe thunderstorms will form and push east, mostly concentrated in the "extreme" shaded area on the left. Large hail, damaging winds and extremely heavy rain will be the main threat this evening. There have been reports of rain rate of 8" per hail and hail over 4" already. This is a dangerous situation and any severe thunderstorm warnings need to be taken with a serious attitude. Be sure to watch the local forecasts and local alerts if you reside in these areas! 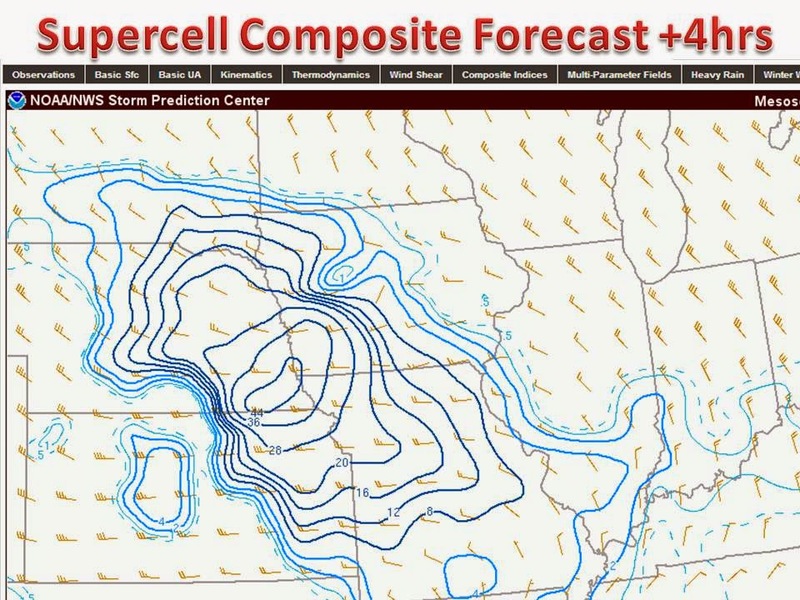 Below is the forecasted supercell composite for late this evening ~10pm CDT. These values are extreme!! Anything over 10 is a dangerous situation, we are seeing values of 44! Crazy, stay safe!